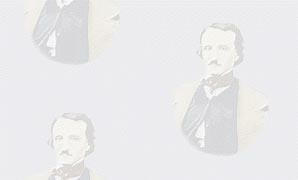 Many of the featured poetry of written by Poe which you can find on my site. They are all in normal text format and all in a compact little zip file. Spirits of the Dead, Annabel-Lee, A Dream Within a Dream, Dreamland, Eldorado, Evening Star, Imitation, Lenore, Silence, A Dream, The Happiest Day, The Haunted Palace, To Helen, Dreams, and the Poe favorite; The Raven. Hop-Frog or The Eight Chained Ourang-Outangs, The Masque of Red Death, The Black Cat, and The Pit and the Pendulum. I will update these files soon. Be sure to e-mail me and tell me what you think of my site.